Abstract: Camel milk is known for not being suitable for processing it into different dairy products. could be suitable approaches for making of soft unripened cheese from camel milk. Al Haj, O. A. and Al Kanhal, H. A. 2010. Compositional, technological and nutritional aspects of dromedary camel milk. International Dairy Journal, 20: 811–821. AOAC, 1995. Official methods of analysis, 16th Edn. Chapter 33: Dairy products. Association of Official Analytical Chemists, Washington, DC. Benkerroum, N. 2010. Antimicrobial peptides generated from milk proteins: a survey and prospects for application in the food industry. A review. International Journal of Dairy Technology, 63: 320–338. Delahunty, C. M. and Drake, M. A. 2004. Sensory character of cheese and its evaluation. In: Cheese: Chemistry, Physics and Microbiology. Vol. 1. General Aspects, 3rd, Fox, P. F., McSweeney, P. L. H., Cogan T. M.a and Guinee. T. P. (Eds). Amsterdam: Elsevier Academic Press. pp. 455-487. D‘Urso, S., Cutrignelli, M., Calabar, S., Bovera, F., Tudisco, R., Piccolo, V. and Infascelli, F. 2008. Influence of pasture on fatty acid profile of goat milk. Journal of Animal Physiology and Animal Nutrition, 92: 405-410. El-Agamy, E. L. 2000. Effect of heat treatment on camel milk proteins with respect to antimicrobial factors: a comparison with cow’s and buffalo milk proteins. Food Chemistry, 68: 227-232. Emmons, D. B. 1993. Factors affecting the yield of cheese. International Dairy Federation. Brussels, 8. Farah, Z. 1993. Composition and characteristics of camel milk. Journal of Dairy Research, 60: 603-626. Fox, P. F., Guinee, T. P., Cogan, T. M. and McSweeney, P. L. 2000. Fundamentals of Cheese Science. Gaithersburg, M D: Aspen Publishers. Guinee, T. P. 2003. Role of protein in cheese and cheese products. Advanced Dairy Chemistry, Volume 1: Proteins. In: Fox P.F. and McSweeney, P.L.H. (Eds.) Kluwer Academic – Plenum Publishers, New York. pp. 1083–1174. Guo, M., Park, Y. W., Dixon, P. H., Gilmore, J. A. and Kindstedt, P. S. 2004. Relationship between the yield of cheese (Chevre) and chemical composition of goat milk. Small Ruminant Research, 52: 103- 107. Hashim, B. I. 2002. Acceptance of camel milk among elementary school students in Al Ain city, United Arab Emirates. Journal of Food and Agriculture, 14 (1): 54-59. Haileeyesus Habtegebriel and Shimelis Admassu 2016. Optimization of the Production Process of Soft Cheese from Camel Milk Using Linear Programming Technique. Food Science and Quality Management, 49: 35-41. Kappeler, S. R., Rahbek-Nielsen, H., Farah, Z., Puhan, Z., Hansen, E. B. and Johansen, E. 2006. Characterization of recombinant camel chymosin reveals superior properties for the coagulation of bovine and camel milk. Biochemical and Biophysical Research Communications, 342: 647-654. Kindstedt, P. S., Guo, M. R., Viotto, W. H., Yun, J. J. and Barbano, D. M. 1995. Effect of screw speed and residence time at high stretching temperature on composition, proteolysis, functional properties and the water phase of Mozzarella cheese. Proceedings of the 32nd Annual Marschall Italian Speciality Cheese Seminar Madison, pp. 56–72. Konuspayeva, G., Lemarie, E., Faye, B., Loiseau, G. and Didier, M. 2008. Fatty acid and cholesterol composition of camel's (Camelus bactrianus, Camelus dromedarius and hybrids) milk in Kazakhstan Dairy Science and Technology, 88: 327–340. Landfeld, A., Novotná, P. and Houška, M. 2002: Influence of the amount of rennet, calcium chloride addition, temperature, and high-pressure treatment on the course of milk coagulation. Czech Journal of Food Science, 20: 237–244. Lomholt, S. B. and Qvist, K. B. 1997. Relationship between rheological properties and degree of κ-casein proteolysis during renneting of milk. Journal of Dairy Research, 64 (4): 1-9. Lucey, J. A., Johnson, M. E. and Home, D. S. 2003. Invited Review: Perspectives on the basis of the rheology and texture properties of cheese. Journal of Dairy Science, 86 (9): 2725-2743. Mehaia, M. A. 2006. Manufacturing of fresh soft white cheese (Domaiti type) from dromedary milk using ultra-filtration process. Journal of Food Technology, 42: 06-12. Moynihan, A. C., Govindasamy-Lucey, S., Jaeggi, J. J., Johnson, M. E., Lucey, J. A. and McSweeney, P. L. H. 2014. Effect of camel chymosin on the texture, functionality, and sensory properties of low-moisture, part-skim Mozzarella cheese. Journal of Dairy Science, 97 (1): 85-86. Olson, N. 1982. The effect of salt levels on the characteristics of Mozzarella cheese before and after frozen storage. 19th Annual Marschall Invitational Italian Cheese Seminar. Madison, WI. Seon-Suk, J., Seung-Joo, L., Palanivel, G. and Hae-Soo, K. 2012. Comparative Study of Flavor, Texture, and Sensory in Cream Cheese and Cholesterol-removed Cream Cheese. Food Science and Biotechnology, 21 (1): 159–165. Turner, K. W., Marler, F. G., Gilles, J. and Morris, H. A. 1983. ‘Swiss - type cheese III. The effect on cheese moisture of varying the rate of acid production by Streptococcus thermophiles’. New Zealand Journal of Dairy Science and Technology, 18: 135-130. Van Hooydonk, A. C. M. and van den Berg, G. 1988. Control and determination of the curd setting during cheese making. International Dairy Federation, Bull., 225, 2- IO. Yagil, R. 1994. Science and camel milk production Comm. Coll. Dromadaires et chameaux: animaux laitiers. Nouakchott, Mauritania. Yonas Hailu, Eyassu Seifu and Zelalem Yilma. 2014. Physicochemical properties and consumer acceptability of soft unripened cheese made from Camel milk using crude extract of ginger (Zingiber officinale) as coagulant. 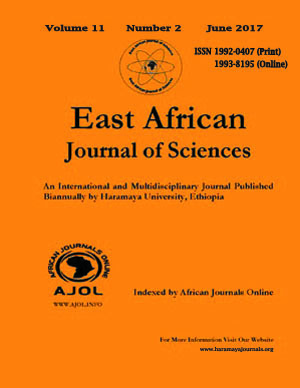 African Journal of Food Science, 8 (2): 87-91. Yonas Hailu, Ipsen, R., Hansen, E. B., Eyasu Seifu., and Mitiku Eshetu. 2016. Factors Influencing Gelation and Rennetability of Camel Milk using Camel Chymosin. International Dairy Journal, 60: 62-69. Yun, J. J., Barbano, D. M. and Kindstedt, P. S. 1993. Mozzarella cheese: impact of coagulant type on chemical composition and proteolysis. Journal of Dairy Science, 76: 3648–3656.